Everyone wants to visit Italy! It is the one country that everyone has heard of, has a passion for its food and is hankering after a romantic or a cultural or simply a relaxing holiday in it. It is funny then how strictly regimented most trips to Italy seem to be. They take in Rome and/or some of the larger iconic cities – Florence, Venice, you know the lot – and if a few days can be spared for exploration of the countryside, most often than not people head for Tuscany seduced by popular images of tall standing cypresses and lush rolling hills. After living in Italy for over nine months now, I would like to share with you a suggestion or two in order to help you break free from this very rigid and media-imposed Italian dream. First of all, head to Veneto! This northernmost corner of Italy will surprise you and delight you with its rich history, beautiful landscapes and hot sunny days stretching all the way from the end of March to the beginning of November. Once there, venture outside Veneto’s gems – Venice and Verona – and discover ten smaller, yet perfect pearls. Between themselves these ten small towns in Veneto have it all – inspiring architecture, fabulous food, pure waters, mountain and lake backdrops. Tick as many as you can off this list for a holiday of a lifetime and a great new way to see and appreciate Italy. Perched on the shores of Italy’s biggest lake – Lago di Garda – Malcesine will steal your heart. For many centuries this quaint town could only be reached by water, so immerse yourself in tradition and make sure that you arrive here by ferry. 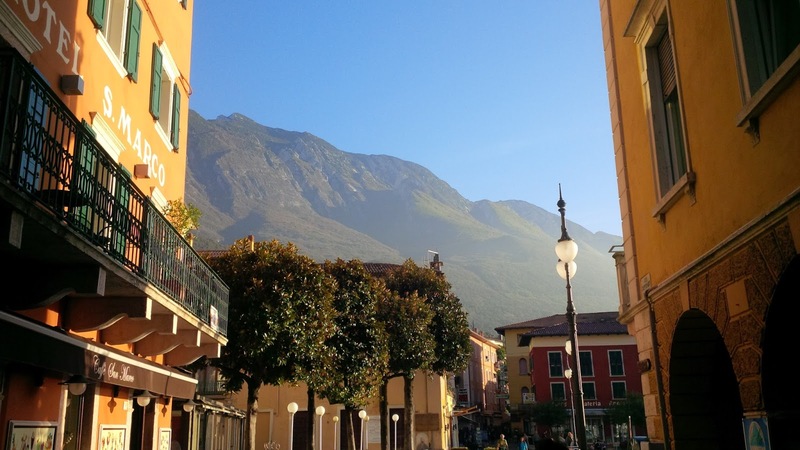 The crossing from Limone sul Garda on the opposite side of the lake takes only 20 minutes and will delight you with a fabulous panoramic view of Malcesine backed by the rugged Mount Baldo of 1760 m height. Then take a walk round the picturesque harbour, climb the steep cobbled streets and while an hour or two in the whimsical Scaliger castle. The German poet Goethe spent a night in Malcesine in 1786 whilst on his Grand Italian Tour. He was arrested on suspicion of being an Austrian spy after the locals caught him drawing sketches of the castle. Goethe mentions the episode in his travelogue ‘Italian Journey’. Nowadays a couple of the castle’s rooms are named after him and contain a small selection of items relating to the poet, including copies of the drawings which got him in trouble. Marostica is a sight to behold. Nestled at the bottom of a hill, this medieval town is fully encircled by a strong defensive wall. 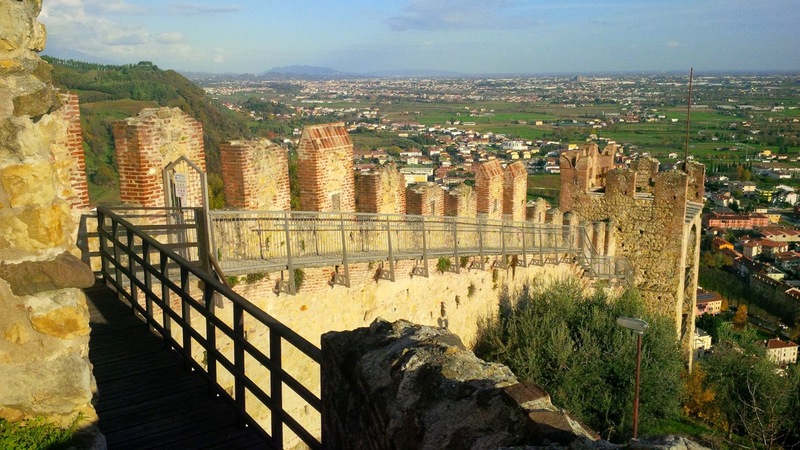 It climbs to the top of the hill and descends on its other side holding Marostica in its powerful embrace while creating stunning photo opportunities. The town’s central square looks like a huge chess board and every two years a game of chess is staged there with real people and horses taking up the roles of chess pieces. The performance is based on a local legend according to which two noblemen played a game of chess instead of duelling to death for the hand of the daughter of the local Lord. Marostica is also famous for its cherries, holding a festival to celebrate this juicy red fruit every spring. Lazise is the town on the shores of Lago di Garda where you go when you want to enjoy a walk on a long sunny promenade brimmed by the sparkling blue waters of the lake. Tall palm trees sway in the bright sunlight and people tuck into leisurely lunches in the many restaurants. White yachts and colourful boats bob up and down in the harbour. 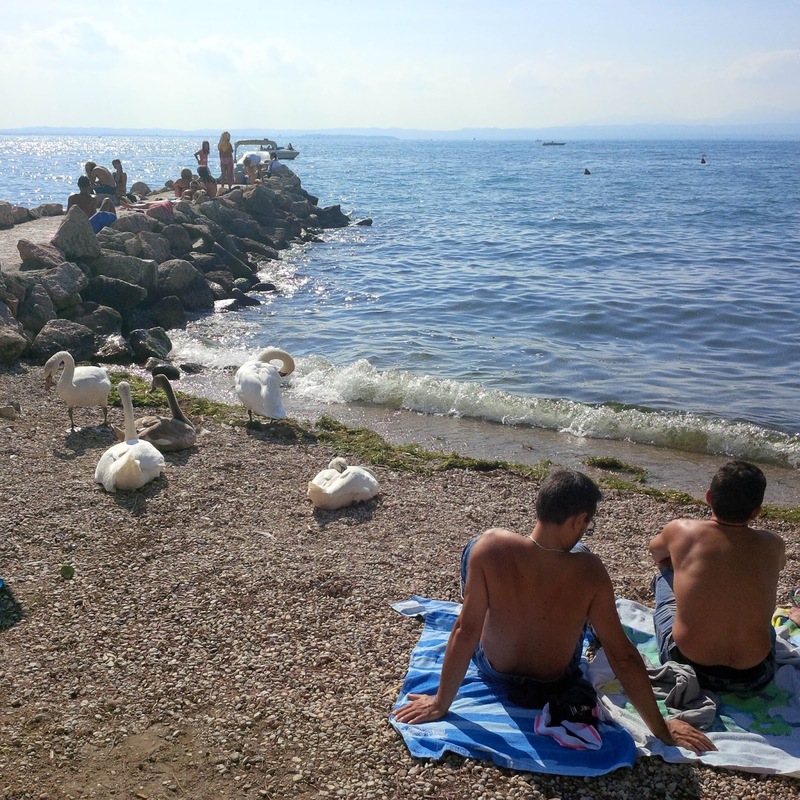 A small pebbly beach teems with people showing off their deep tans offset by the white feathers of the local swans. Countless gelaterias do a brisk business selling dozens of different gelato flavours – from the traditional stracciatella (chocolate chip) to the less conventional ones like watermelon and even Red Bull. I love getting a gelato from La Cremeria di Lazise whose owner once told me that her dream is to open a branch on Oxford Street in London and be a gelato supplier to the Queen. 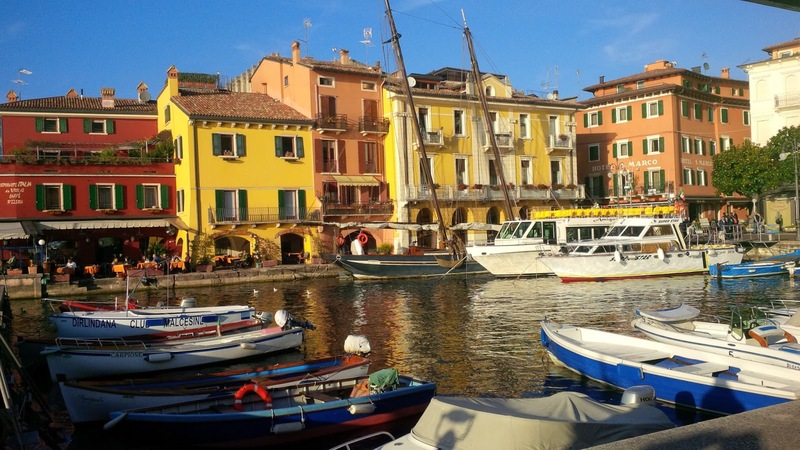 Lazise is fabulous to visit in the run up to Christmas, too in order to enjoy its traditional Christmas market and marvel at the tangerine trees dripping with juicy fruits along the beautiful promenade. Monselice is a travel dream come true for me. It has it all! Charm, mystery and countless little details to intrigue you and inspire you as you discover them one by one. The town is located in the Euganean Hills – an area of outstanding natural beauty just off Padua. In bygone times rich Venetians would escape to their villas around Monselice in the hot summer months, thus they have left their architectural mark around the area. Make sure that you visit the town’s castle – a rich patchwork of a building reflecting the construction techniques and styles of several different periods. Its armoury is only second to the collection of arms kept at the Doge’s Palace in Venice and it comprises several fine examples of swords, rifles and medieval weapons. The fireplaces in the castle are simply beautiful. I have never thought that I could be so captivated by a fireplace, until I saw the works of art they had created there to warm themselves up. 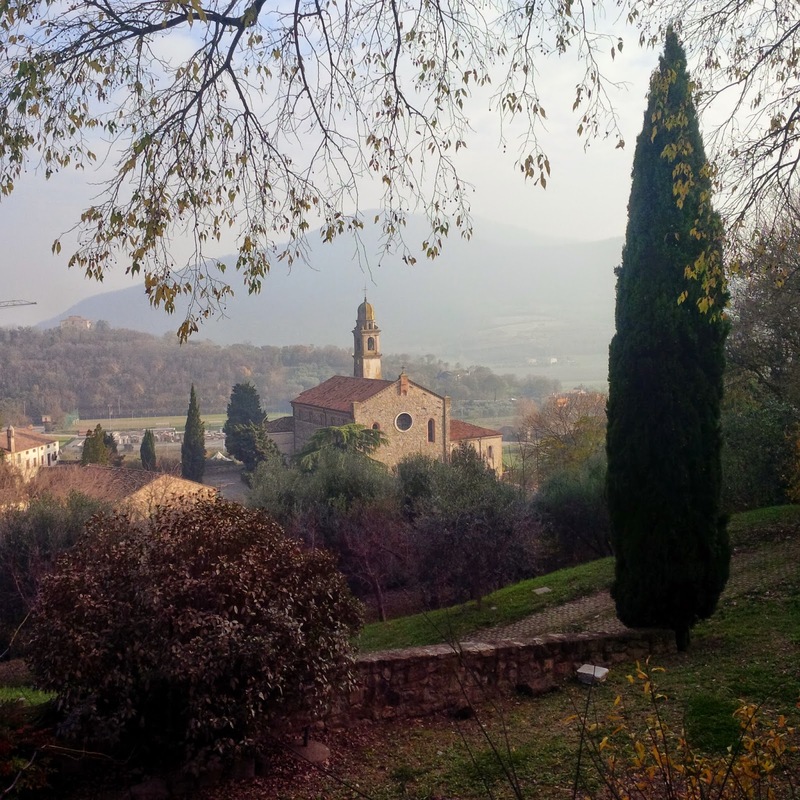 After you have seen the castle, take a walk up the hill overlooking Monselice. 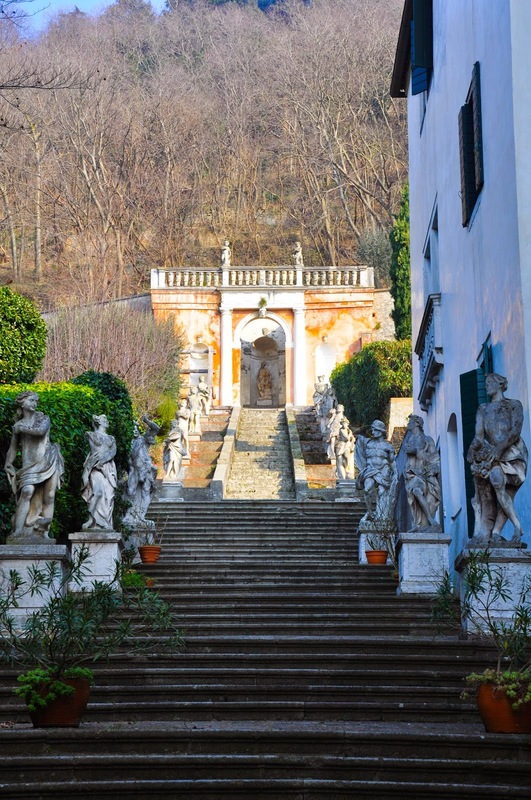 Admire the Villa dei Nanni with its cascading staircase and go all the way to the top of the hill where you will find the Seven Churches Sanctuary. A papal bull grants the pilgrims visiting it the same indulgencies as those granted to the pilgrims visiting the seven main churches of Rome. One last informational tidbit – the stone slabs used to cover St. Mark’s Square in Venice come from a quarry in a hill atop of Monselice’s castle. 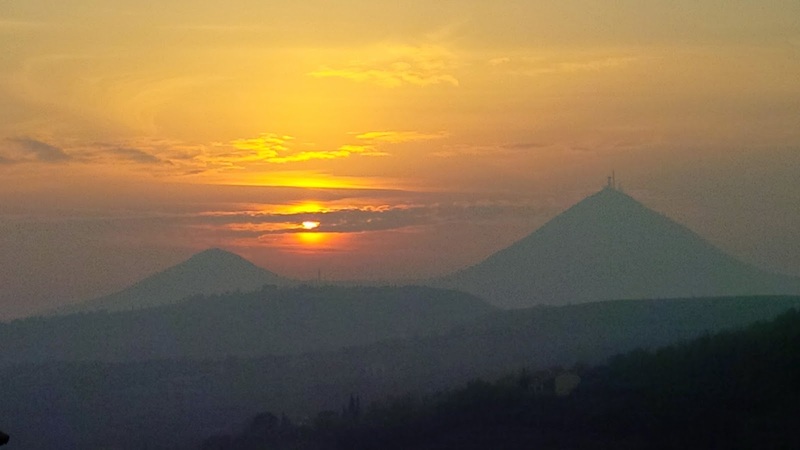 Here is another pearl nestled among the volcanic Euganean Hills. Arqua Petrarca will surprise you and charm you with its stone houses and very steep cobbled streets. 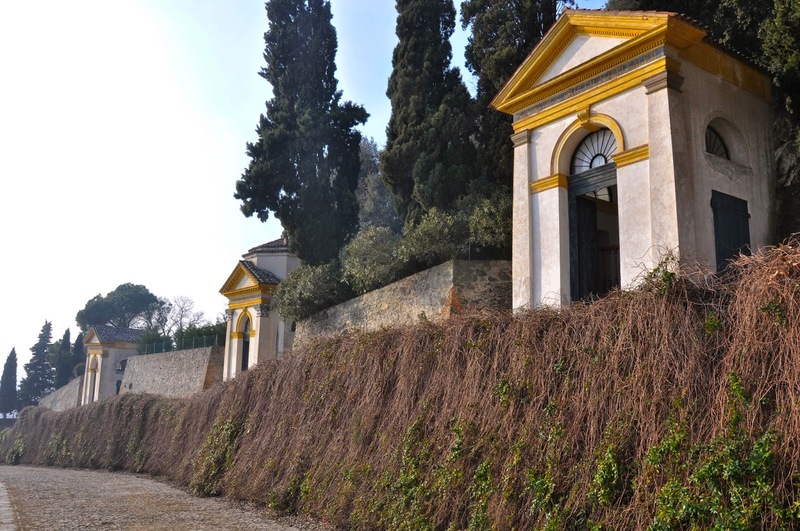 The main appeal of this little town undoubtedly lies in the opportunity to visit both Petrarch’s house and the place at which the sarcophagus of this great son of Italy stands tall. The poet and humanist whose work sparked the Renaissance came to the secluded town of Arqua to spend the last years of his life. He died a day shorter of his 70th birthday in his house which nowadays is turned into a museum. Visiting it is a wonderful experience. I particularly enjoyed finding out that the poet was a passionate gardener and spent many hours each day tending the shrubs, trees and herbs he had planted in the garden at the back of the house. The notion of him touching the soil and growing life out of it made Petrarch much more real in my mind as opposite to the semi-mythical literary and scholarly figure he otherwise is. Make sure that you walk the steep slope from Petrarch’s house down to the Church of Santa Maria Assunta in front of which stands his sarcophagus made of red Verona marble. 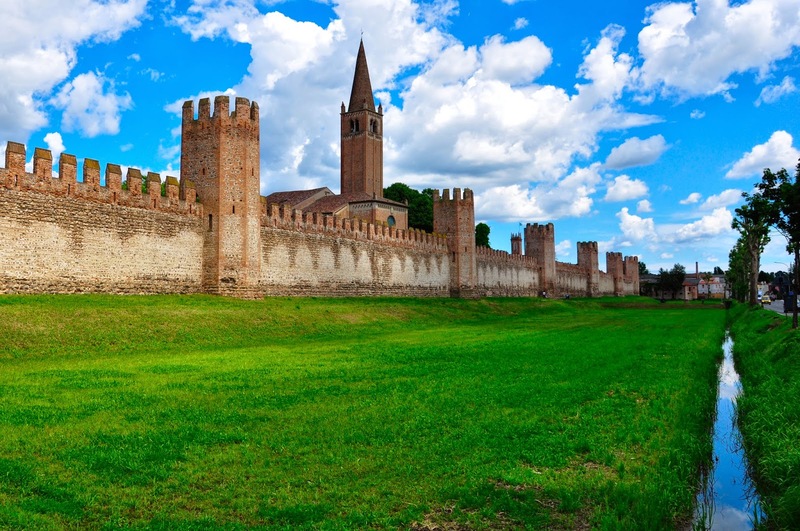 Montagnana is a beautiful medieval town completely encircled by a strong defensive wall. It entices the senses with its stunning architecture and amazing ornamentation adorning buildings and houses. Elegant porticoes offer shade on the hottest of days. On the main square the powerful body of the town’s church rises high up leading the gaze all the way to the sky. Montagnana is also a renowned prosciutto making centre. Modern factories follow to the dot the centuries-old process of dry curing the prosciutto and produce thousands of kilos of one of the most strictly controlled food products in the European Union. 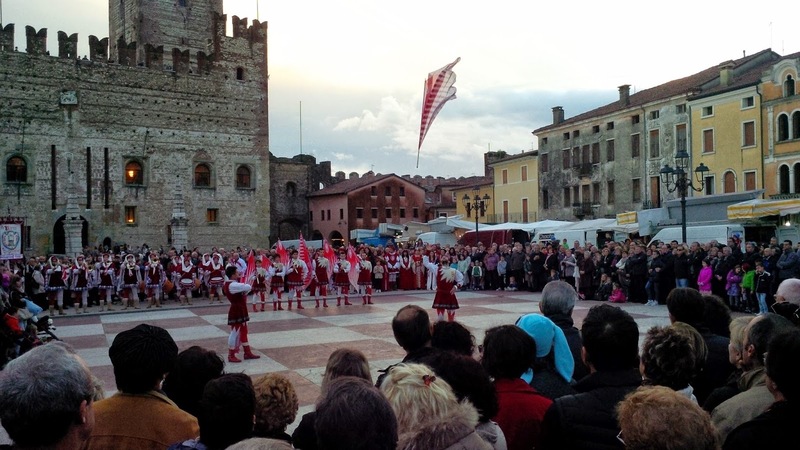 A two-week long Prosciutto Festival is held in Montagnana every spring to celebrate the local tradition and the local produce. 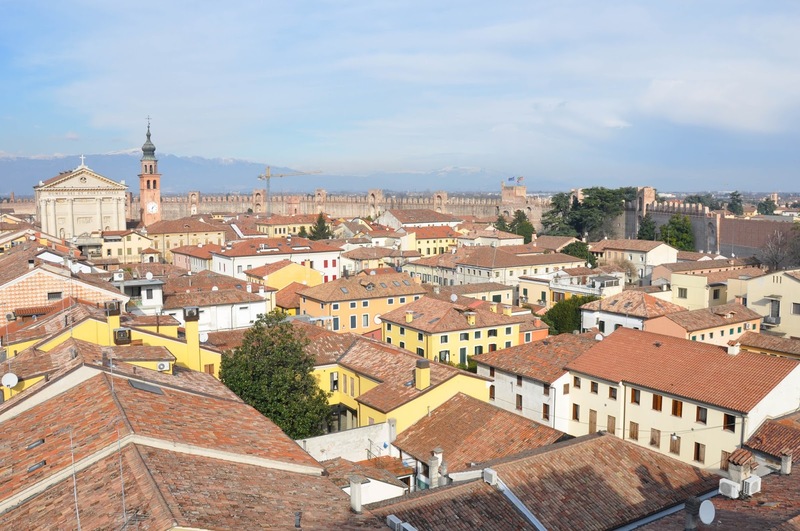 Yes, this is another medieval walled town, but don’t be quick to cross Cittadella off your list just because you have already seen a medieval walled town or three. 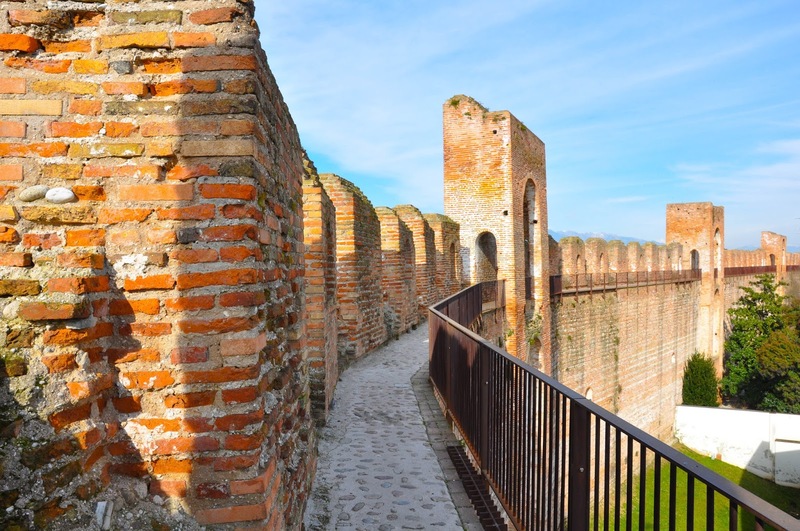 For Cittadella’s defensive wall is deemed to offer ‘Europe’s best medieval parapet walkway’. In simple English this means that you can circumnavigate the whole town by walking on its wall. For this you need to climb 14 meters up the wall via narrow passages and steep steps and then follow a small path by its battlements. At certain points you will need to go even higher – up to 30 meters in fact. All this exercise will offer you an unparalleled view of the old town encircled by the wall and the Pre-Alps on the horizon beyond it. Completing the full circle of the wall takes about an hour. After that make sure that you spend some time in the town itself. 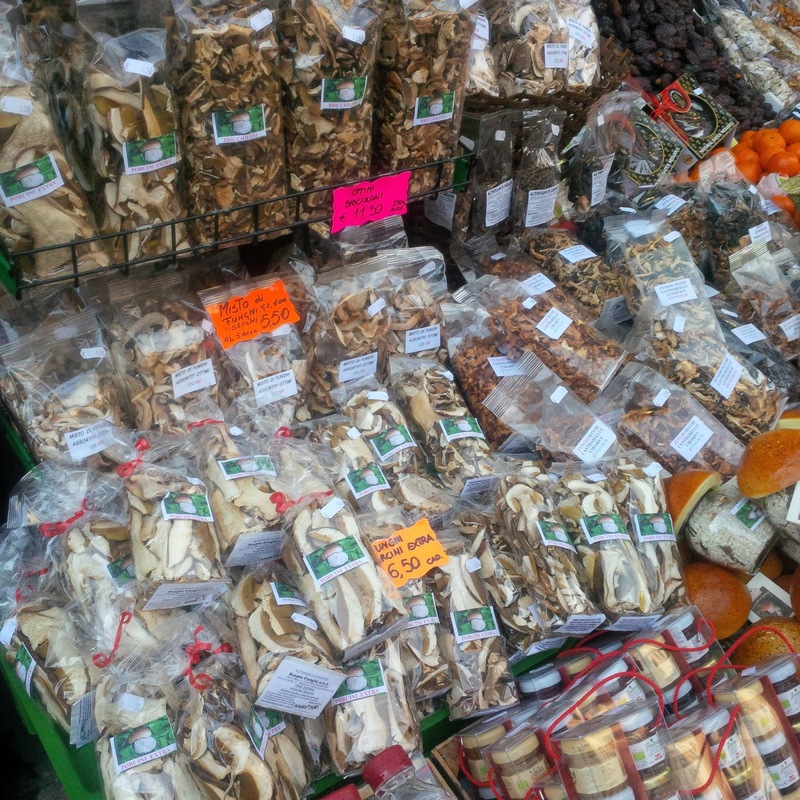 On Monday it houses a big market which is noisy, lively and colourful. A great way to experience a medieval town still being very much in touch with our modern times. 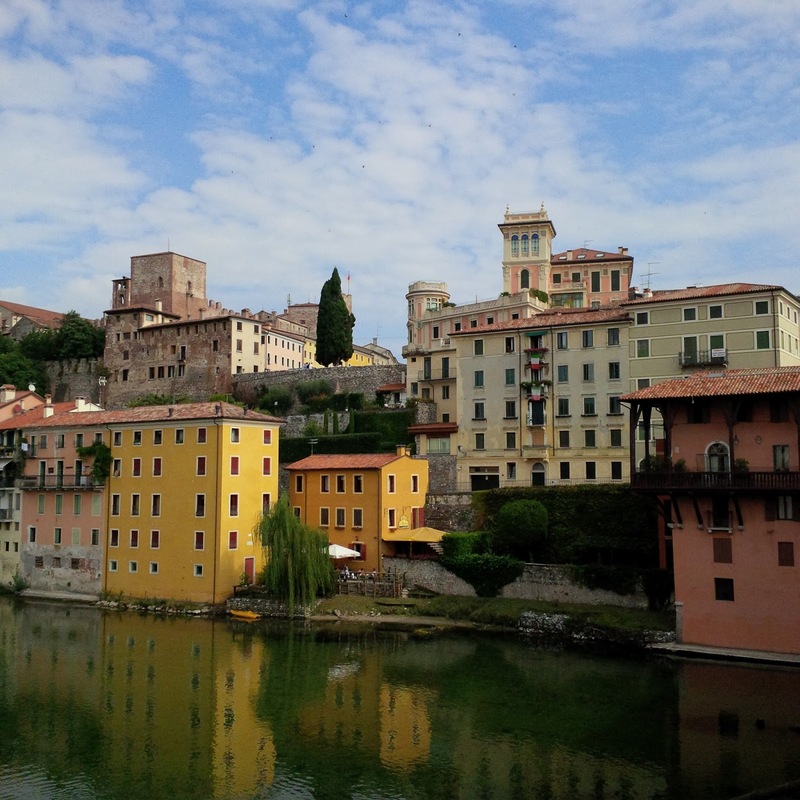 Bassano del Grappa is an elegant town sat on the banks of the river Brenta. The Venetian Pre-Alps serve as its dramatic backdrop. The water of the river is rich in fish and it is so clear that it beautifully reflects the town’s buildings. 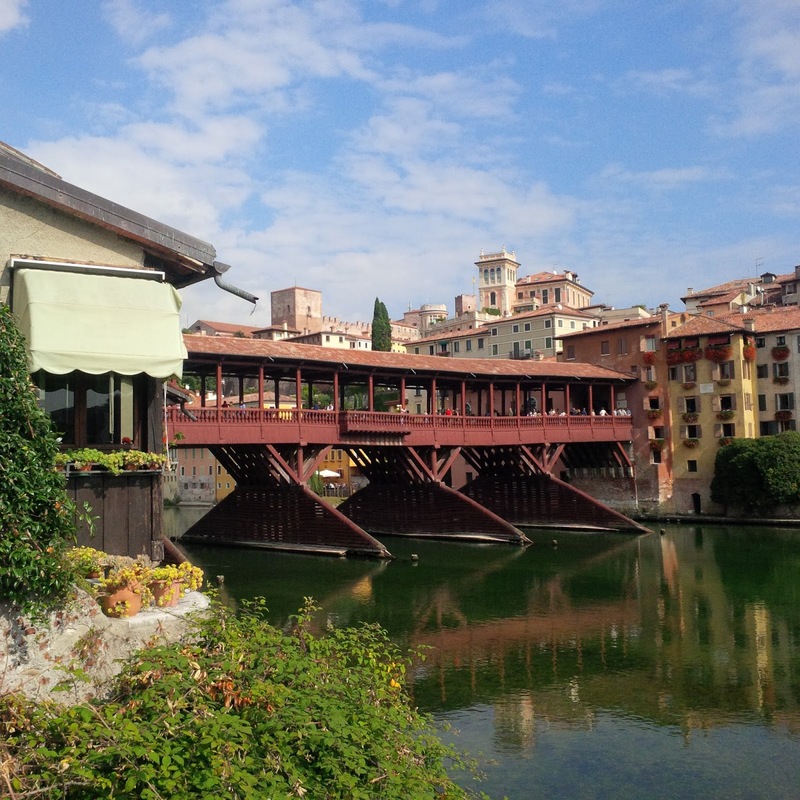 The main sight here is the Alpini Bridge the memorable structure of which has become Bassano’s symbol. The covered wooden bridge was designed in 1569 by Andrea Palladio – the architect born in the Veneto who is renowned as the Father of American Architecture and is still nowadays one of the most influential architects of the Western World. The bridge has been destroyed many times during the battles of war this part of Italy has witnessed. It has been however rebuilt each time and nowadays bullet holes from the Second World War are still visible in the buildings around it. A very pleasant day can be spent in Bassano exploring its streets and museums (one of which is dedicated to the local strong drink grappa). When you reach its main square look up and admire the clock on the façade of one of the buildings. It is one of my most favourite things in this charming town. Come to Asiago for the incredible local food, but also for the mountain views, the snow and the history enveloping the place. To reach this pretty town, you will need to drive up the face of the mountain going zig and then zag in your car for what seems like a very long stretch of time. The road is steep and the Italian drivers can be quite pushy. The views of the Venetian plain below at your feet will make it worthy it though. 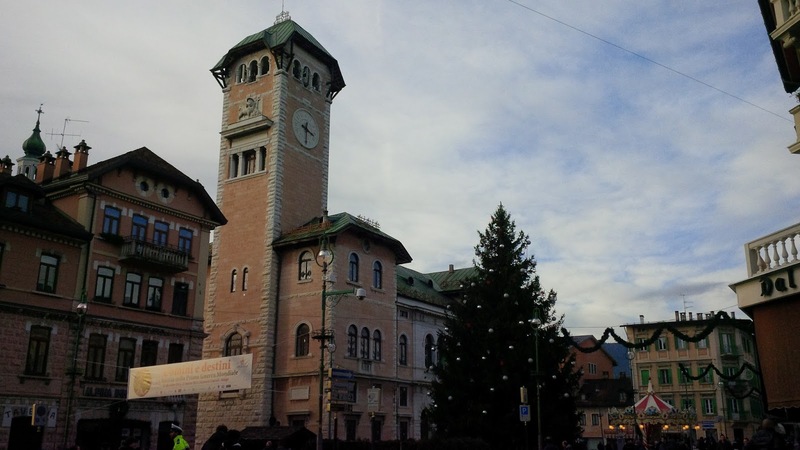 Once in Asiago, you may feel like you have arrived in Austria or Germany. It has this Alpine atmosphere reflected in the style of the buildings and the houses. 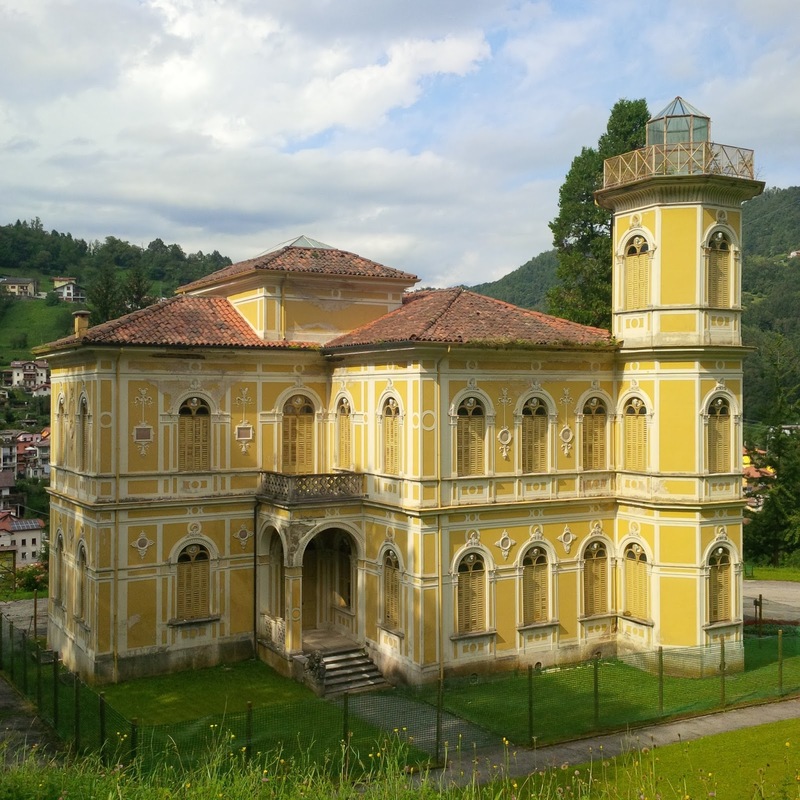 Two of my most favourite things about Italy come from Asiago – one is the fresh Asiago cheese they make here and the other is the speck of Asiago – something like prosciutto but with spices. Make sure to try them both when you are there. If you visit the town in winter, you are in luck. All sorts of snow sport facilities are nearby. There is a bonny Christmas market, too. In the Asiago plateau there are five Commonwealth cemeteries from the battles held there during the First World War. 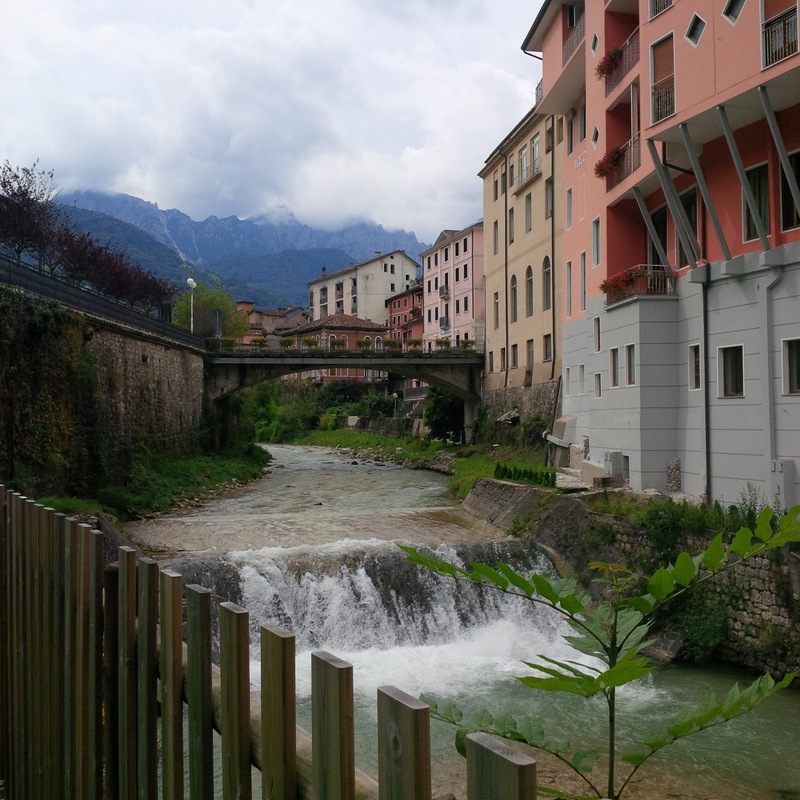 Recoaro Terme is another small town in the mountains of Veneto I can wholeheartedly recommend. The air is pure and you breathe it in in deep gulps. There are several mineral water springs and a spa where one can go to take the waters, each of which allegedly helps improve a different ailment. The town has adapted itself to the surrounding nature with its streets and even parks following the almost vertical slopes. Several elegant villas are dotted atop the nearby hills allowing for some great views. There is a modern cable car lift. Unfortunately, when we were there, it was out of service, so I can’t report much on it. If you are not easily spooked, try finding Fonte Giuliana – the abandoned building next to a mineral water spring. Be prepared for some very narrow curving roads the higher you go in the mountains. The views are captivating though, so definitely give it a try. 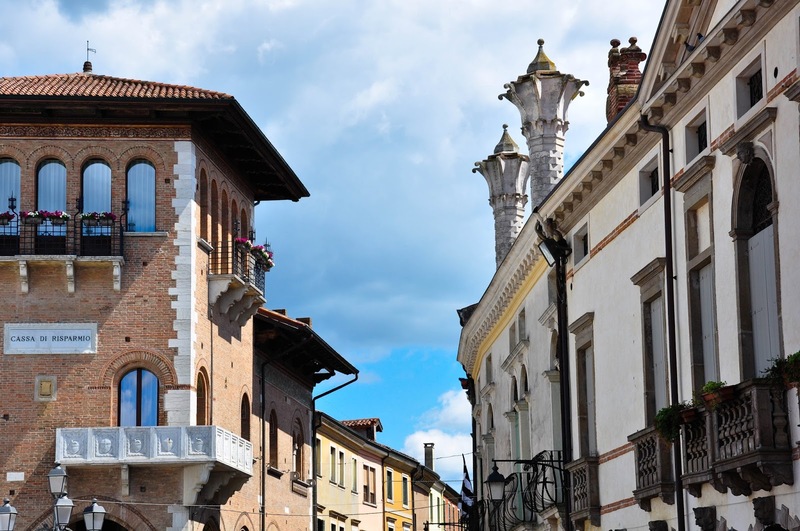 Have a great time in the Veneto and let me know which of these 10 unmissable smalls towns there you got to experience during your stay. In case you have already been to one of them, share your memories and opinions with me in the ‘Comments’ section below. I would love to read them! Enjoyed all the articles on fascinating Veneto. Could you suggest a town to go for the day. Will be in Soave have been to Verona numerous times would like to spend a day in quaint town enjoy specialty cuisine for a memorable birthday celebration. Thank you for your very kind words, Paula! How about Mantua? It has so much to offer in terms of art, history and architecture that you can easily fill a day with things to do and enjoy. Plus, it is famous for its cuisine. 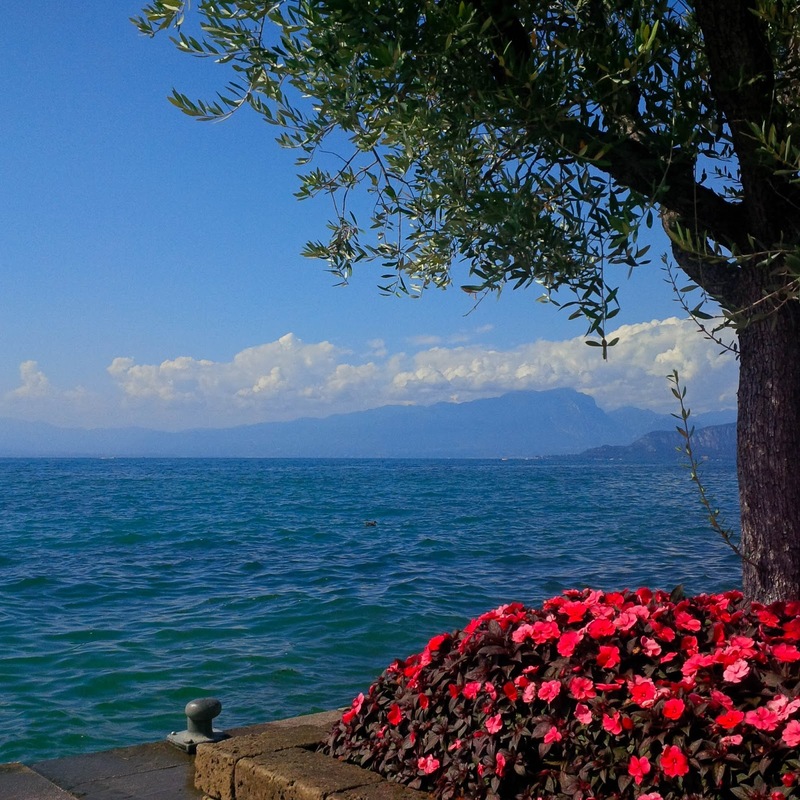 Otherwise, you can head to Lake Garda and see a couple of the small lakefront towns there. They are all beautiful and very quaint. Sirmione there is one of my favourites. I just posted a list with 16 day trips from Verona where you can find further suggestions.